Thank you very much for your interest in our products! You need more information? You have questions or suggestions concerning our products? Please send us an email or use the form below. We will do all we can to help you! If you encounter any problems with one of our products, please contact our support. 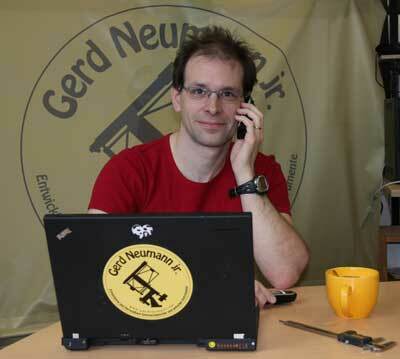 For general requests, please contact us atinfo@gerdneumann.net. For all technical and application questions, please contact us at technik@gerdneumann.net. Although our support is not confined to those who shop with us, we hope to win you as a customer in the future! Instead of writing an email, you may use our contact form. You would like to pay us a visit? We will be happy to welcome you! Please bear in mind that it is necessary to make an appointment prior to your visit. We want to make sure that your visit with us goes as smoothly as possible. To see more of our products, you might consider visiting trade fairs and exhibitions that we will be attending.